You can record expenses for a task directly on the task detail page. 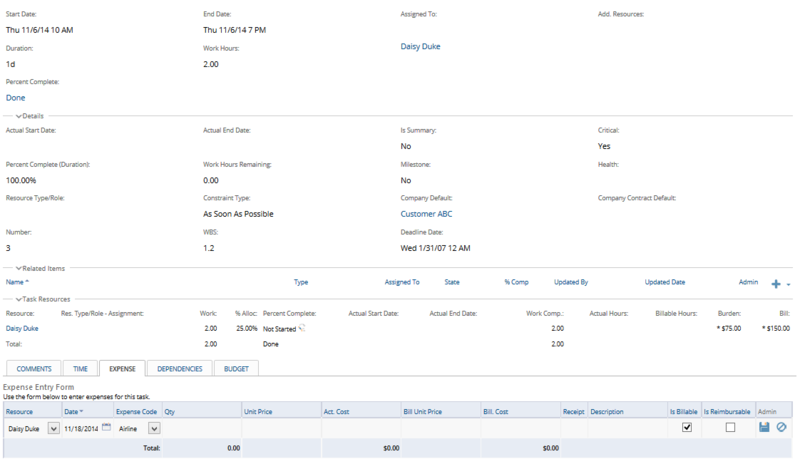 Another method for expense entry, without the use of the task detail view, is covered in the Expense Entry Worksheet topic. How do you use the Task Detail Screen to record an Expense? Select the correct expense code. Your PI administrator decides how many codes and what they mean to your team. Fill in the amount of the expense in the Act. Cost box. Enter a description if your team requires additional information. Your administrator will know if you will use the "Is Billable" or "Is Reimbursable" check boxes. You will need to navigate to the Expense Entry Worksheet to submit your expenses at the end of your expense report period.